There’s nothing worse during anxious moments than having something to fixate on. Neck-pain is a common ailment that accompanies stress or anxiety. It makes it harder to sleep, harder to get along and is sure to shorten your temper. But you already know that, don’t you? You’re here to find out how to ease neck pain caused by stress and anxiety. First, let’s understand what stress neck pain is. What Is Stress Neck Pain? 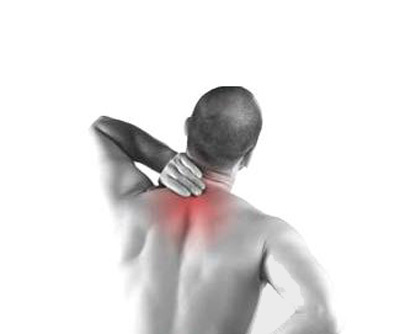 Stress related neck pain can be caused by seemingly unrelated physical conditions. Damage to shoulder muscles or upper back cause your neck muscles to overcompensate. Neck pain can occur despite the root cause being elsewhere making it difficult complete basic tasks like cooking, writing or working. Anxiety has also been heavily linked with both neck pain and perception of pain. Similar to how muscle groups affect your neck, high stress can also manifest in nagging physical aches. Stress is derived from your body’s fight or flight response. In nature, the response is designed to protect you from danger- tightening muscles in preparation of escape or engagement. This tensing of the muscles may be the cause of neck-ache or fatigue which commonly accompanies stress. Indeed, it’s thought that pain manifests in the neck due to its proximity to the central nervous system (CNS). The response of the body toward a shock or impending threat is to tighten the muscles. Harmless by itself, this tightening long-term- caused by things like stress- has the potential to create muscular pains. Especially in areas like the neck which are close to both the spine and the CNS. Let’s be honest, eliminating stress is a lot easier said than done. But there are techniques you can try to reduce neck pain. Especially, if you’re battling with office pressures, anxiety, stress or depression. Recommended Reading: How to Ease Neck Pain From Sleeping? Here, we list eight straightforward techniques to ease neck pain caused by stress and anxiety. You don’t have to do them all at once. Try a few each week and make a journal of the results. Repeat the ones that work for you and ditch the ones that don’t. There’s a lot of truth in the axiom: healthy mind, healthy body. Taking a light jog, going swimming or doing some yoga is a proven stress buster. Physical exertion releases endorphins, the body’s natural pain-killer, which make us feel good. There’s also some evidence to suggest regular exercise reduces long-term anxiety and depression. Regular exercise also helps you to develop core muscle groups. The healthier you are, the better you feel. But, having muscles that are well-developed will help your body to tackle stress better. Taking up a new sport can be a fun, social way to get the exercise you need. Sometimes, aches occur by lactic acid building in the muscles. Stretching really helps to reduce buil-up of acids and reduce aches. Neck stretches are a quick-fix that can be done for 5 minutes before bed, and five minutes before waking up. The results will surprise you. As well as promoting relaxation, massage has beneficial effects on our muscles whilst reducing stress. You can also ask your masseuse to target specific areas of pain like the neck or shoulders during a session. This technique has been long-considered a calming activity in the Eastern world. It takes a while to develop proper meditation skills. But those who master it, have a sharp tool for reducing anxiety and stress. You don’t need to be able to touch your toes to do Yoga. Possibly the biggest advantage of Yoga is that you can do it anywhere. Start slow using simple positions and work from there. It’s proven to improve flexibility, health and reduce muscular aches. There’s some suggestion that Yoga can help you deal with stress as well. Lack of proper sleep is a primary indicator of high stress. Don’t sacrifice the busy-lifestyle, just don’t take it home with you. Dedicate at least an hour before bed to relax, away from work, computer screens or smart devices. This will help you get the rest you need to recover in time for morning. This might be pointing out the obvious, but it’s still a critical point. Alcohol, cigarettes and caffeine in high quantities all have a negative affect on your muscles. Pre-sleep stimulants are also key causes of muscular aches near the central nervous system and head. 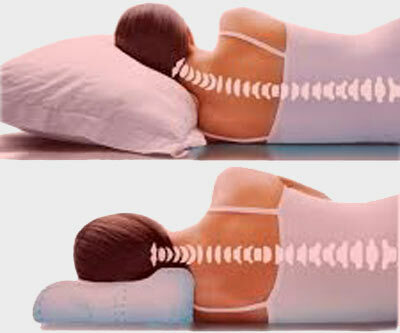 If you’re sleeping on your stomach, you’ll naturally be twisting your neck during the night. Try reverting to a side sleeping position to take the stress of. Secondly, investing in an orthopedic pillow can really help. They take some getting used to, but they also offer unrivalled support to your neck and shoulders. Most muscular injuries come from trauma. That can be a sudden impact, bruising or muscular strains and tears. Anxiety is harder to pin down. Moments of intense anxiety or stress have physical consequences in the central nervous system. It is thought that physical reactions to mental stress causes your neck to hurt when you’re stressed or anxious. Muscular tension caused by a sudden moment of shock has relatively minor consequences. However, if this tension is spread over a longer-period and in a consistent way- as with stress- it can become a genuine problem. In short, long-term stress or anxiety leads to long-term neck pain. One of the primary relationships between stress and tiredness is a lack of sleep. Anxious moments, or feelings have the potential to keep us up at night. Indeed, in extreme cases, anxiety leads to insomnia, causing a vicious cycle. You can’t sleep because you’re stressed, and you’re stressed because you can’t sleep. A recent sleep study confirmed that how much sleep you’re getting has an intimate relationship with your perception of pain. Those who slept less felt they noticed muscular aches in their neck and shoulder became more severe. Lack of sleep doesn’t increase the severity of your physical condition. What it does is increase your perception of particular pains and aches. Since stress is known to reduce sleeping hours, we can assume that high-stress lives make you feel pains and aches more acutely. It’s common to experience neck pain at some point in your life. Sleeping in an awkward position on a coach or train can lead to neck-pain later in the day. It’s when you get recurring pain in the same area of the neck that you want to start thinking about seeing a doctor. If you’re suffering from anxiety which begins to affect your sleeping habits or daily routine, you should seek out medical advice. In some cases, anxiety can be caused by physical ailments like a problem with your thyroid gland. 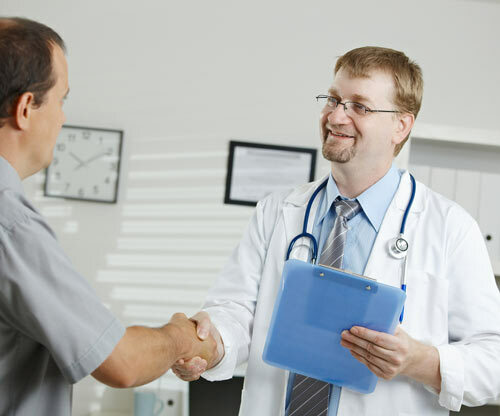 Equally, your doctor may want to prescribe medication to help you with your condition. Stress is a leading cause of heart-failure in the US. High-blood pressures caused by stress are a real-issue. So, if you’re suffering acutely, and consistently, from stress then see a doctor immediately. Musculoskeletal disorders is the medical term used to describe neck, back or shoulder aches. Traditionally, these disorders have been difficult to pin down. They can be related to genetic factors, environmental factors like the chair you’re sitting on, your posture or even your sleeping position. One common cause is stress. A study published in the BMC tested 445 patients with musculoskeletal disorders. It found that these disorders are intimately related to stress. In particular, chronic neck-pain was linked to patients with high levels of stress or anxiety. So how do you beat these symptoms? Pain-killers are commonly prescribed but treat the end result rather than the route cause. Reducing stress can put an end to consistent neck pain. Among the key activities, exercise is known to reduce anxiety, help with sleep and, eventually, to reduce chronic neck pain. Should You Act Now? The likelihood of neck pain becoming a chronic condition is increased the longer it goes untreated. The best thing you can do is to seek medical help as soon as possible. Managing stress by developing a positive mental attitude. The quicker you do, the sooner you can be done with neck pain for good. Just as there’s no one cause of neck pain, there’s no one cure either. Developing a holistic approach can really help to reduce pain or chronic ailments. That starts with reducing your levels of stress and anxiety. In the above, we’ve covered 8 easy ways to tackle stress. Adopting some or all of them will get results. But not everyone will find Yoga or swimming, for example, to be effective. Figure out what works for you by trial and error. Then share your experiences in the comments below.